A stained or faded deck can be a minor issue that leads to a very expensive problem. 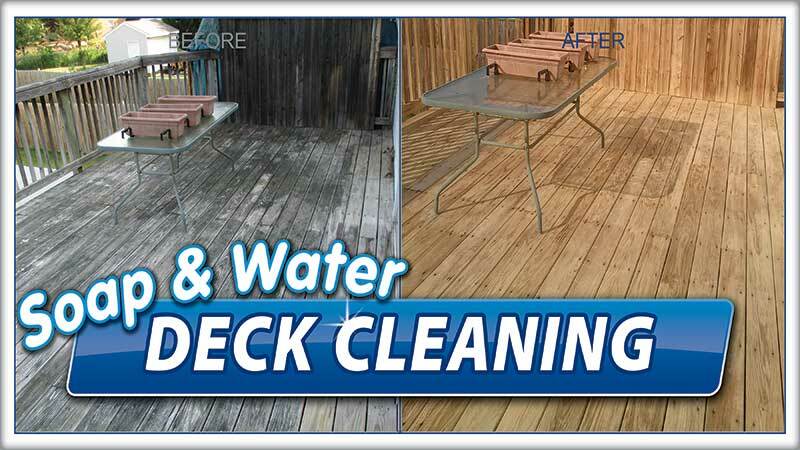 We are the deck cleaning and restoration experts! Does your deck have ugly stains? If the answer is yes, know that these dark areas can be more than the difference between a beautiful home and an unsightly house. And while these stains are detracting from your home’s beauty, the real problem will come a few years later. Those stains are the build up of grime and/or algae. Such contaminants need to be pressure washed away sooner rather than later. The average lifespan of deck materials, especially porous materials, is between 15 and 25 years. Unwanted element buildup can take years off that lifespan. And, we have never found anyone that wants to spend thousands of dollars on a new deck short of the manufacturer’s promise. The pressure washing experts at Extra Mile Powerwashing have years of training in the proper cleaning of deck materials. The techs will also give you a proper assessment of your other building materials — siding, gutters, fencing, walkways, etc… — that may be in danger of a shortened life due to harmful element buildup. And don’t hire just anyone who claims to have a “pressure washing business.” Decks are easily scarred by high pressure treatment. This damage costs lots of money to fix. It could cost nearly one-third of the price of the deck. We will use the softwash approach, which ensures your deck will be cleaned and not damaged. Softwash is using just the right amount of pressure and gentle detergents. 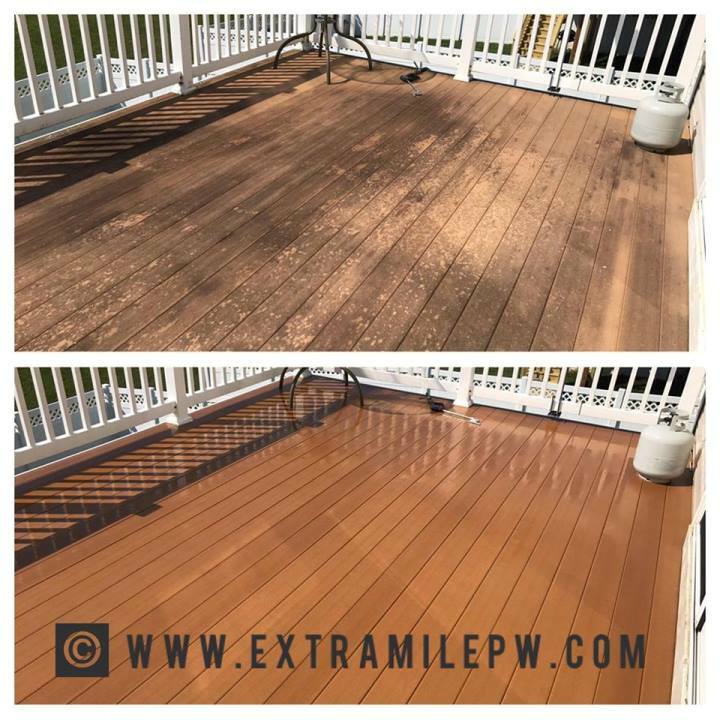 For a FREE deck cleaning estimate, call Extra Mile’s Martinsburg, WV office at 304-904-0500 or contact us here.